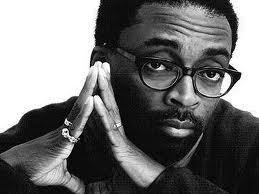 When Spike Lee makes a new project, he doesn’t just make it — he breathes it. Last summer, Lee quietly filmed his latest movie set in the Red Hook Houses of Brooklyn. 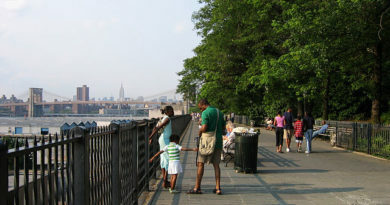 Using Brooklyn’s largest housing project as his backdrop, he spent 19 days there filming the story of a boy’s adventures. And it’s always telling to see what residences of a neighborhood being portrayed in films have to say about it. While Sundance Film Festival slammed Lee for his unrealistic portrayal of the city complex, residents are singing his praises. Spike Lee didn’t just jump in and jump out of the Red Hook Houses project. Residents say that he actually spent six months talking to residents about their day-to-day lives before filming there for 19 days. Certainly, the Red Hook Houses have a history. Two decades ago, Public School 15 Principal Patrick Daly was killed when he came there looking for a student who was late to class. Then, in the year 2000, the city started the Red Hook Community Justice Center which hosts a vast array of programs including GED classes. In 2005, the NYPD actually opened a stationhouse right on the property of the Red Hook Houses. And since then, residents say, they have been telling a different story. And that’s just what Spike Lee tried to capture with his latest endeavor.